Hub Culture is a global collaboration network with over 25,000+ members distributed across 110 countries. Their stated mission to expand collective consciousness is driven by the blend of online workspaces for knowledge sharing with offline Pavilions for meeting and connecting – all powered by their digital currency, Ven. Below is an interview with Hub Culture’s Founding Director, Stan Stalnaker. What compelled you to create Ven? For us it was a matter of practicality – with a global, diverse community, we found that no single currency could offer a single pricing structure for global inventory in Hub Culture. Our members needed a global wallet – as simple to use in Rio as Shanghai. As a social network, we thought linking this system to the social profile of our users would help them share and create value. We needed a simple, transparent way for our members to exchange value and favors, and the answer was Ven. It has been a learning experience for us. The currency has evolved and grown since its debut in the summer of 2007, and we have discovered ways to make it more useful for our members and the planet at large. You’ve said Ven can be thought of as ‘green money’? Why? Today Ven is the only digital currency to be priced from a basket of currencies, commodities and carbon futures. These components give the Ven advantages of other currencies: the basket encourages price stability on a forward basis, and the link to commodities grounds value in hard assets. The introduction of carbon to the basket is helping us think about how money can serve better social purposes – in this case to support and stimulate demand for carbon credits and social impact development, driving offsets for every transaction used with Ven. This is how the idea of ‘green money’ developed with Ven – because its carbon linkages are able to play a role in this area. I really like the idea that Ven is green, social and efficient, with a mission to improve the lives of its users and the communities that use it. What makes Ven different from other digital currencies, like Bitcoin, for example? Remember, Ven was first, and has been around for about four years. It is very different from a system like Bitcoin in that in runs through a central exchange which accounts for all currency in the economy, and it is naturally transparent, as opposed to anonymized. 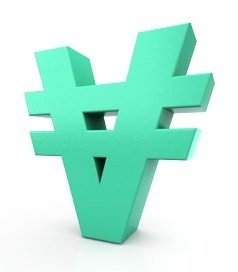 Ven transactions can be visible and shared – either through social media or on the HubCulture.com platform. Although both represent visions of P2P exchange systems, the outcome and the feel for the two is very different. I think those differences are a good thing – and as more iterations come down the pipeline, we’ll see different use cases, value sets and exchange opportunities emerge between all these new currencies. Ven stays within the legal bounds of existing virtual currency systems because users do not exchange back to cash for Ven after they purchase – which discourages unsavory activity. Ven is traded, exchanged and redeemed between members, and we now offer over V$400 Million in inventory that can be purchased with Ven. As it moves more and more towards financial transactions and trades, the stable and green advantages of the currency are becoming more apparent, and we expect that to eventually drive Ven volumes through the roof. We expect over V600 Million in transactions this year, up from V5 Million previously. How do I get some Ven, and is it safe? Ven is purchased online directly using a normal credit card or paypal account, with standard web encryption and payment technologies at work. Since we don’t store payment cards, there is less risk for a data breach – this information is held by our payment processing partners. Volatility and price fluctuations are minimized because we are the only ones who issue Ven, and Ven is redeemed at full value on the platform – hence there is little reason to trade it for arbitrage purposes, and one of the main reasons you don’t see a lot of market making on secondary exchanges. If users trade their Ven to others, the recipient knows that the value is secure: they can always come back to us to use their Ven. Hacking and theft, as we have seen, can be a problem for all – anyone from a company to a government can be affected. By tracking Ven transactions we aim to avoid these problems, but if a problem did occur, we would seek to isolate and reverse transactions as quickly as possible. I hope that the positive social benefits presented by Ven would minimize interest in trying to destroy confidence in it by others. What are your big picture thoughts about the future of money? I’ve spoken and written quite a bit about my views on the future and evolution of currency at large. Some of this comes from our own experience with Ven, and some comes from thinking about the big picture in relation to P2P economics. 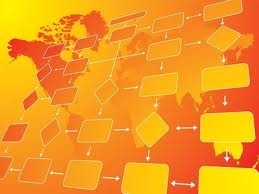 I believe the natural tendency of the internet is toward distributed, collaborative systems. The types of advances that dominated communications over the last 15 years are now playing out in finance, and that means a shift towards circular, nodal systems vs. centralized hierarchical systems. The idea of Singular Value does not depend on a need for Singular Context, as has been suggested. It simply means that we are moving toward a singular system that allows for real time comparison of value in an interconnected system. In the field of reputational currency, and even nodal points on the social graph, it’s true that fungibility is not yet readily visible. But over time, I do think that assigning value to these items will lead to fungibility, because exchange will happen fluidly and instantly. The Internet will calculate relative values using the contextual graph around it – so that eventually we will know the value of likes and other reputation rankings relative to other items and effects. I also agree with Esther Dyson that the outcome of this drift toward measuring and valuing everything is not necessarily a healthy thing. Assigning a value to opaque circumstances (however rough and inexact) will affect us and the way we approach things, and not everything should be monetized. But I do think that at the end of the day we only have one computational system (math) and when you combine the assignment of value for anything on the web – whether a good, service, content, reputation, etc, then scale it via billions of linkages for comparison, you create a new type of exchange system that is able to provide a richer tapestry of value sets. Money and our thinking around money tends to be very narrow, and we’ve been conditioned to believe that our reliance on money comes from a central authority. As we create new ways to exchange value at the P2P level, I think we can achieve benefits that traditional monetary systems miss. On the other hand, the explosion in currencies and currency types coming down the pipe means that eventually we’ll need to think about what to use, when and where. Intelligent, integrated exchange systems (yet to emerge) will help us make those choices. I often use an analogy to explain this diffusion of currency in a simple way: rocks (large national currencies) pebbles (a higher number of corporate and business currencies) and sand (eventual P2P or personalized currencies). We are not there yet with completely sand-like currencies, because they require an exchange system that can calculate relative shifting value between entities on a P2P level, vs through a centralized system. This is part of the inherent appeal of Bitcoin, in that its decentralized nature allows for a step in this direction. What are the risks involved with new currencies? Can you paint a picture of what you think economic transactions will look like by 2015? By 2020? In five years time, I believe digital currency will be pervasive beyond gaming economies, and that most major companies will have a digital currency of some form – whether as an extension from existing reward point systems, or as partners in currency ecosystems. They will be used to pay for anything that you can use cash for now, and yes your digital wallet will move with you. I think wallets will hold multiple currencies – ranging from Amex Rewards to Ven to digital USD, and you will be able to make smart choices about the currencies you use for the transactions you make. For me, the most interesting missing link in this equation are exchange systems that will allow you to convert easily and on the fly between these various currencies to suit your needs at the time. I think that hacking and theft are a huge issue, and quite simply are the biggest obstacle to widespread adoption. Digital currencies will transform Africa, enabling it to leapfrog into a 21st century financial system seemingly overnight, because they don’t have much legacy infrastructure in this area and even less incentive for regulation. By 2020, I think it’s entirely possible that many people “in the real world” will earn their entire living from new digital currencies – accepting them as a payment in their own ecosystems then exchanging them to ‘cash’ for those who accept only more traditional currencies. So yes, you’ll be able “to pay the rent”. There will be a brand race for currencies to appeal to consumers around traditional brand values, and there will be incentive to use currencies not just for profit but for social good. Most currency will be trackable and traceable, and governments will have an incentive to work with these currencies via exchange platforms that enable tax and regulation. Cryptocurrencies, however libertarian and independent, will have their place, but in a world with many options. so you learned this.. exchange that into any system(s) that behooves your future..